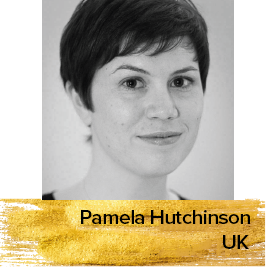 Pamela Hutchinson is an English freelance writer, critic and film historian. Pamela contributes to Sight & Sound, the Guardian, Criterion and the BBC. She is the author of the BFI Film Classics study on PANDORA'S BOX, and the author/editor of 30-Second Cinema. In addition to that, Pamela edits the silent cinema website SilentLondon.co.uk.